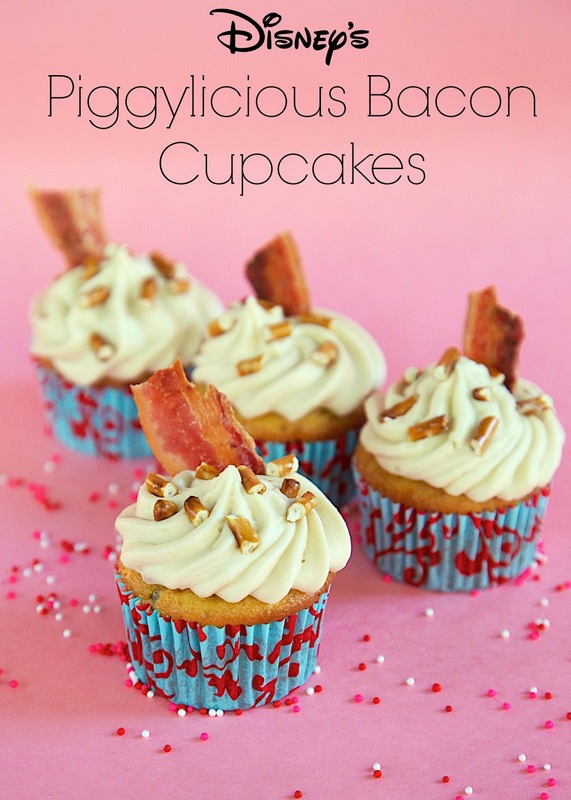 Disney's Piggylicious Bacon Cupcakes - cupcakes baked with bacon fat and packed full of bacon. Topped with a maple cream cheese frosting! OMG delicious! I found this recipe in a cookbook I bought while we were in Disney for the Epcot International Food and Wine Festival this fall. The recipe was from a different food festival (Barbecues and Brews), so I didn't get to sample it in person. I could not wait to get home and give it a whirl! The cupcakes are super simple and taste AMAZING! 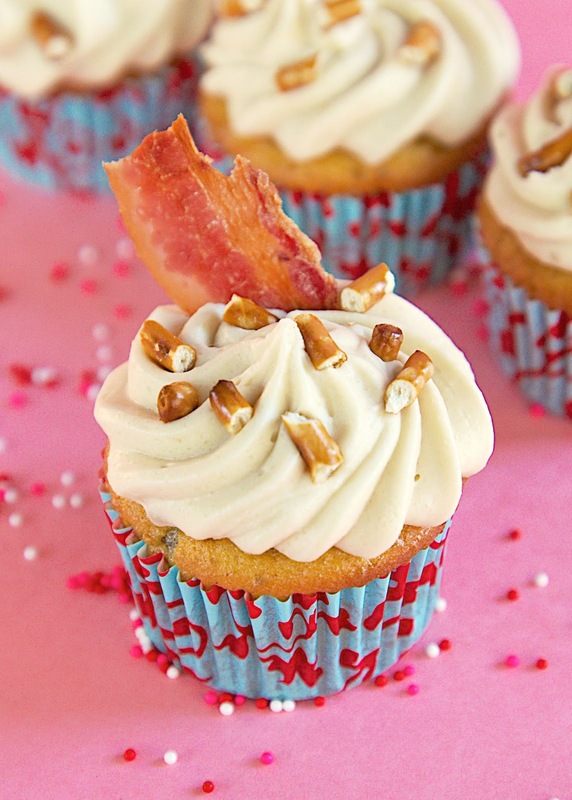 How could a yummy maple bacon cupcake taste bad?!?! For Cupcakes: Follow directions for cake, replacing oil with bacon fat. Fold in cooked bacon. Bake according to package directions. Cool completely. For Frosting: In the bowl of an electric mixer with paddle attachment, beat together cream cheese and butter until light and fluffy. Beat in brown sugar and maple syrup. Slowly add powdered sugar. Frost cupcakes and garnish with chopped pretzels and additional bacon, if desired.